Shopping at NTUC FairPrice just got more price-friendly as the NTUC social enterprise announced two new cost-saving initiatives aimed at further helping consumers stretch their dollar when it comes to buying essential groceries. [Read More: How many of these cost-saving initiatives do you recognise at NTUC FairPrice? 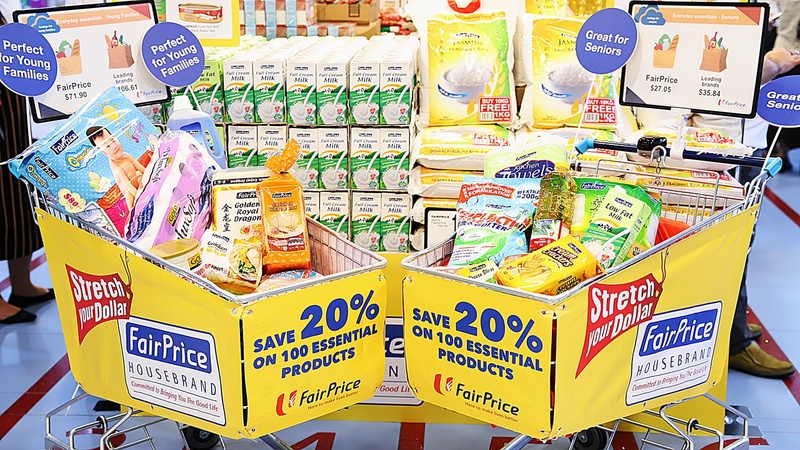 Making the announcement to the media on 18 March 2019, FairPrice CEO Seah Kian Peng shared that with immediate effect, FairPrice will freeze the prices on a specially-curated selection of 100 popular and essential FairPrice housebrand items until 30 June 2020. 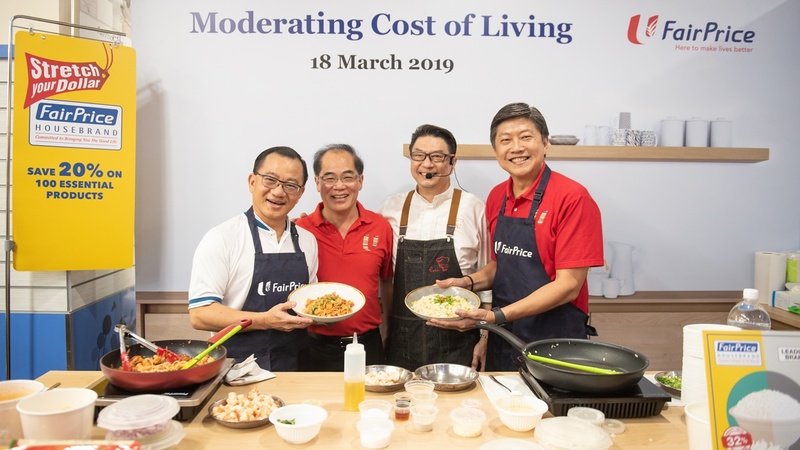 From left: FairPrice CEO Seah Kian Peng, NTUC Enterprise Executive Director Kee Teck Koon, Chef Eric Teo and NTUC Secretary-General Ng Chee Meng whipping up a delicious lunch with housebrand ingredients. While FairPrice has held prices of essential items steady to moderate the cost of living in the past, this is the first time the social enterprise is doing so on such a large scale. Examples of these 100 items span the categories of groceries and household consumables. 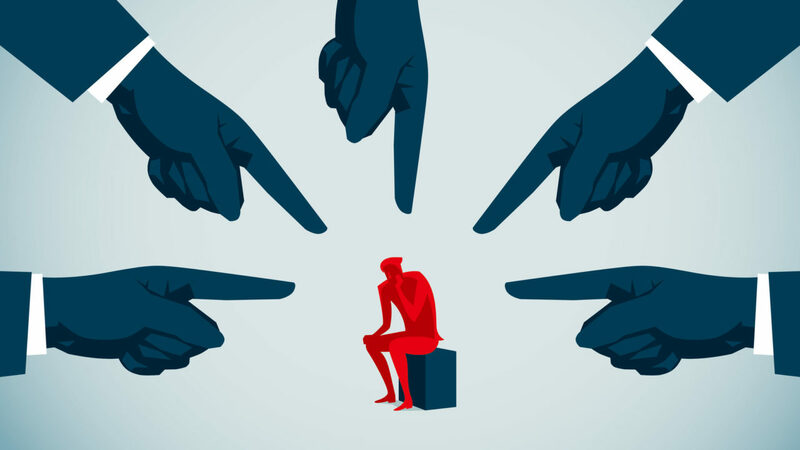 Selection has been based on how well received they are by consumers and the characteristic of the most common items purchased by households in Singapore. Items in the list range from rice to spaghetti, oil, poultry, beverages and snacks, toiletries and household cleaners. While FairPrice housebrand items are generally priced at least 10 per cent cheaper than other comparable products from leading brands, the supermarket chain has further underscored its commitment to keep prices more affordable by further lowering the prices of more than 50 of these 100 items by as much as 30 per cent. 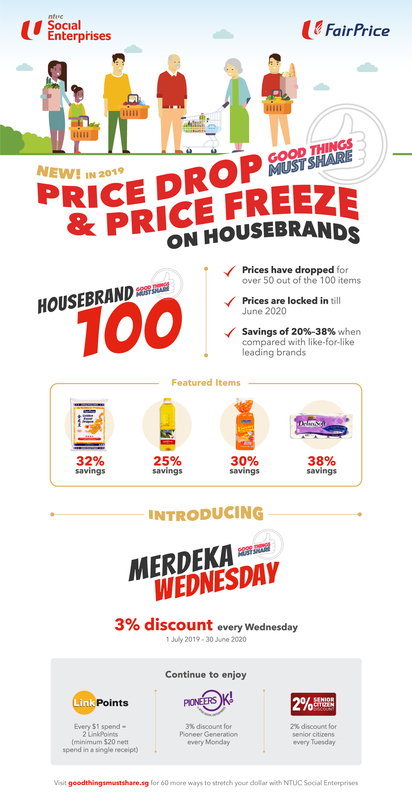 They also said that if consumers were to compare prices of these 100 housebrand products with similar leading brand items, the housebrand items will be at least 20 per cent cheaper. Here’s a look at how some of the items are relevant for consumers with young families, and more senior consumers. The 100 items in the list are some of the most common items purchased by households. 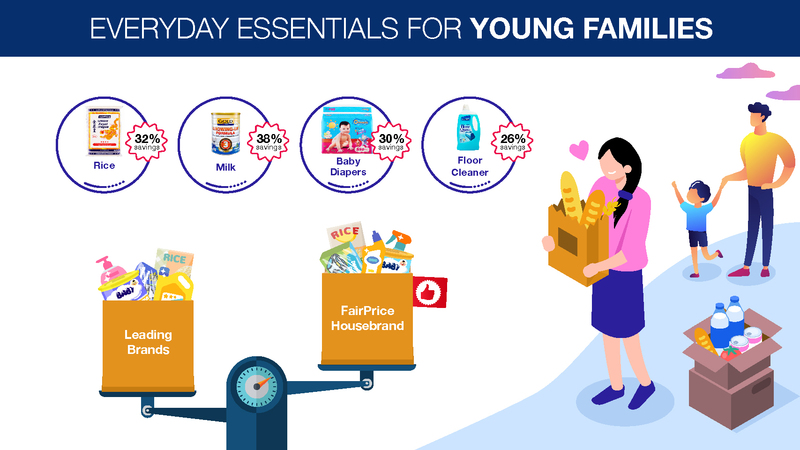 For young families, opting for housebrand items such as infant milk powder, diapers and toilet rolls can help enjoy savings of up to 38 per cent over leading brands. Seniors can enjoy discounts of more than 20 per cent on items such as low fat milk, coffee, detergent and even adult diapers. On top of the existing suite of initiatives to keep prices affordable, there will also be a special Merdeka Generation discount for seniors. 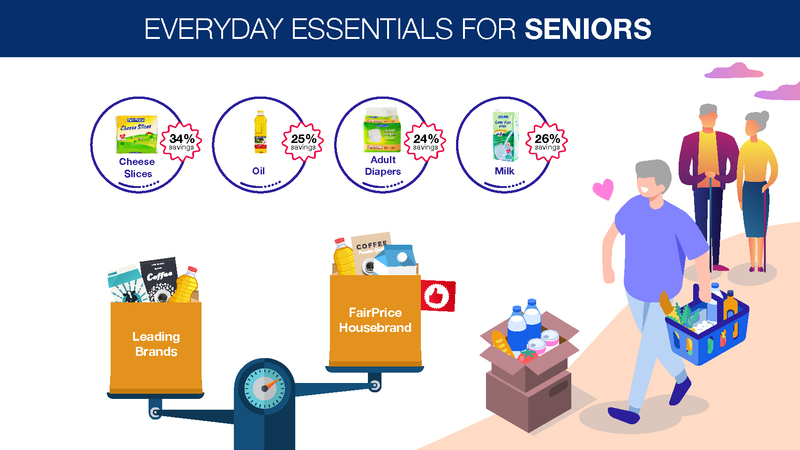 From 1 July 2019, the Merdeka Generation* seniors will get to enjoy a three per cent discount storewide on their purchases at FairPrice outlets on Wednesdays. This will run for a period of one year until 30 June 2020. To qualify for the discount, Merdeka Generation seniors only need to present their Merdeka Generation cards or valid identification at the point of purchase. The three per cent Pioneer Generation discount on Mondays will be further extended till 30 June 2020. FairPrice’s latest dollar-stretching initiatives, at a glance. 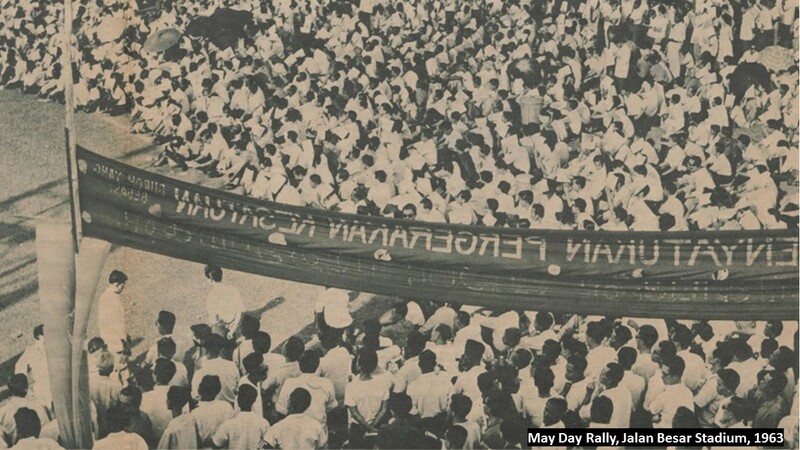 *Merdeka Generation seniors are defined as those born between 1 January 1950 to 31 December 1959; and became a Singapore citizen on or before 31 December 1996, as well as seniors who were born on or before 31 December 1949 and did not receive the Pioneer Generation Package.